Choose from a wide variety of distance and area units, including nautical miles, both feet and meters, and yes, even the venerable smoot. 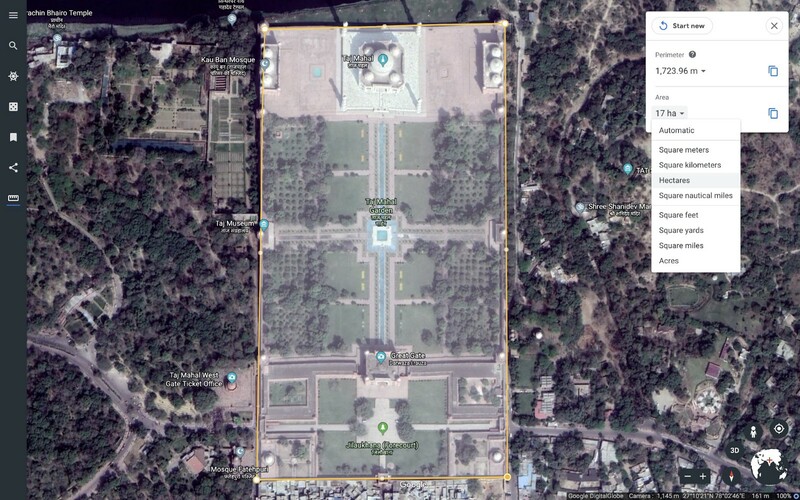 When we launched the Measure Tool in Google Earth, you told us that, while you enjoyed measuring the area of Fasta Åland (685 square kilometers), the footprint of the Taj Mahal Garden (17 hectares), and the perimeter of Machu Picchu (1,460 meters), you needed more flexibility. Some of you work with maritime navigation and aeronautics, some of you need to measure long distances with high precision, and some of you (like me!) just have really strong opinions on the whole “meters versus feet” thing. We heard you, and your feedback has made the Measure Tool even better. 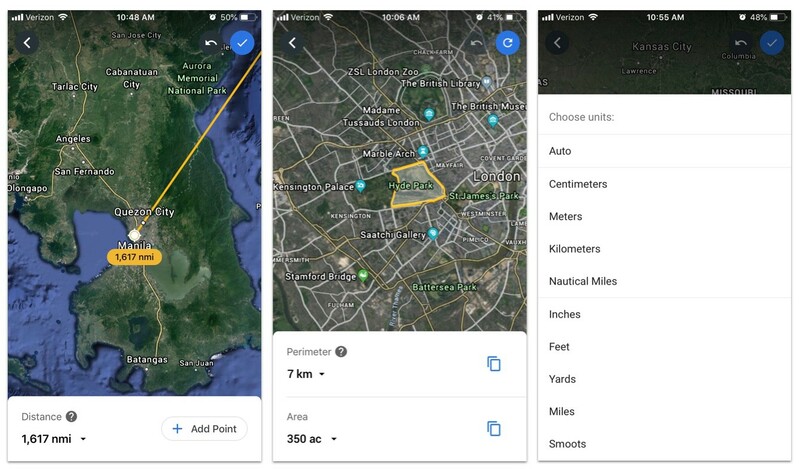 Now you can pick from the same wide variety of distance and area units you may know from Google Earth Pro — including nautical miles, both feet and meters, and yes, even the venerable smoot. Just use the Measure Tool to measure a distance or area, then click or tap on the result to convert it into different units. Selecting “automatic” will choose units for you based on the distance or area you’re measuring, whether your country uses metric or imperial units, and your preferences. We hope this change will give you more power to go measure more things, like the distance from Tokyo to Manila (1,617 nautical miles), the size of the Choctaw nation (2,813,763 hectares), and the footprint of London’s Hyde Park (350 acres). The ability to change units is available on Google Earth for Chrome and iOS today and will be available for Android soon.